Diwali, the festival of Lights, came & went. We dressed up. We burst crackers. We ate good food & drank good wine. We gave gifts to near & dear ones. We celebrated & we enjoyed. And we decked up our homes in all kinds of lights - string lights, rice lights, fancy lights, aromatic candles, pretty tea-lights and even the traditional diyas (or earthen lamps). Our homes look their prettiest best during Diwali, coz before the festival we give it a good cleaning from head to toe and during the festival we dress it up in the finest lights! This year I thought, if we can devote so much time, energy & effort in cleaning up our homes, we should also devote some of it for a bit of soul cleansing too! So, this season, I vowed to purge my soul of all negative vibes - bad feelings, harmful emotions, anger, hatred, jealousy - and emerge refreshed and full of positive thoughts, so that the lights all around me could illuminate my mind and make my soul sparkle! 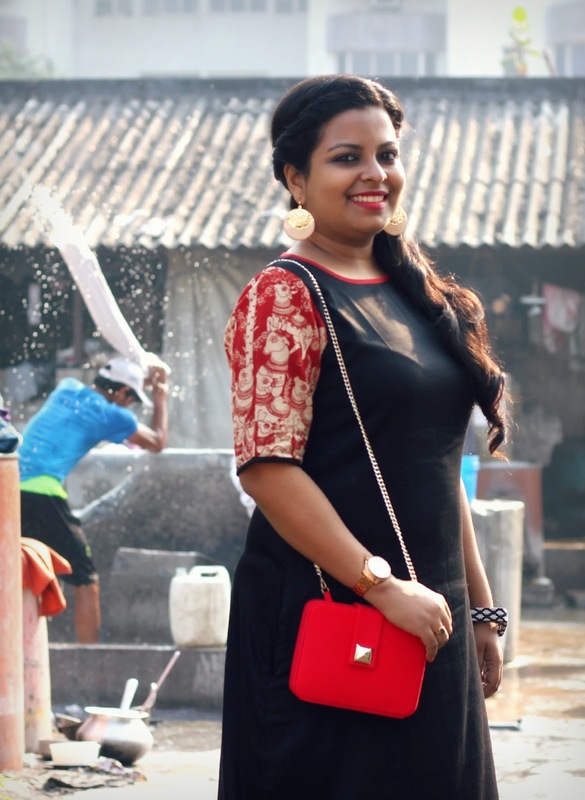 Hence, when I was planning to shoot an outfit that I was going to wear to one of the festive dos, I (or rather, my photographer) thought of a Dhobi-Ghat as the location. After all, what better place than the working grounds of our washermen to shoot at, when I'm thinking soul-cleansing and mind-rejuvenating? 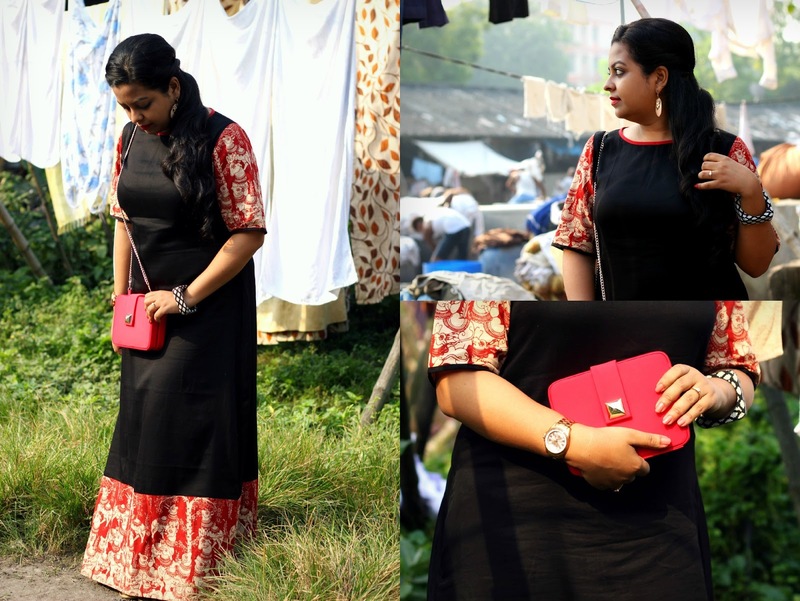 As someone had rightly said, "Cleanliness is next to Godliness"
This Diwali, I thought of ditching the ubiquitous ethnicwear for something fusion - this maxi dress with traditional kalamkari panels & sleeves has a chic contemporary silhouette with an ethnic twist and it just fit the bill. 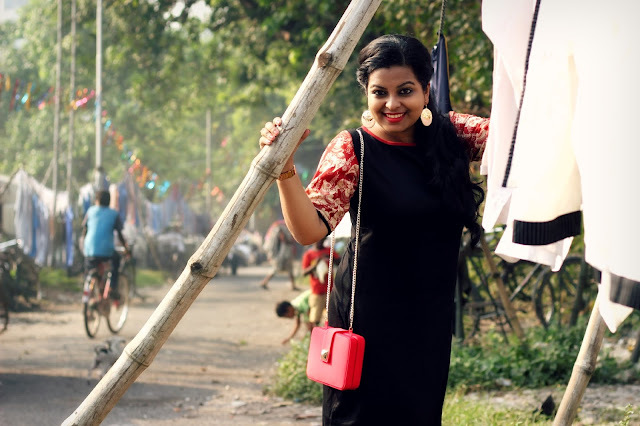 Luckily enough, my new bag from TheBlingStreet matched the dress to perfection and proved to be the ideal arm candy for my festive look! This bag is from ANK, one of the brands stocking at TheBlingStreet and it is fast becoming my go-to choice for light occasions and festive events. 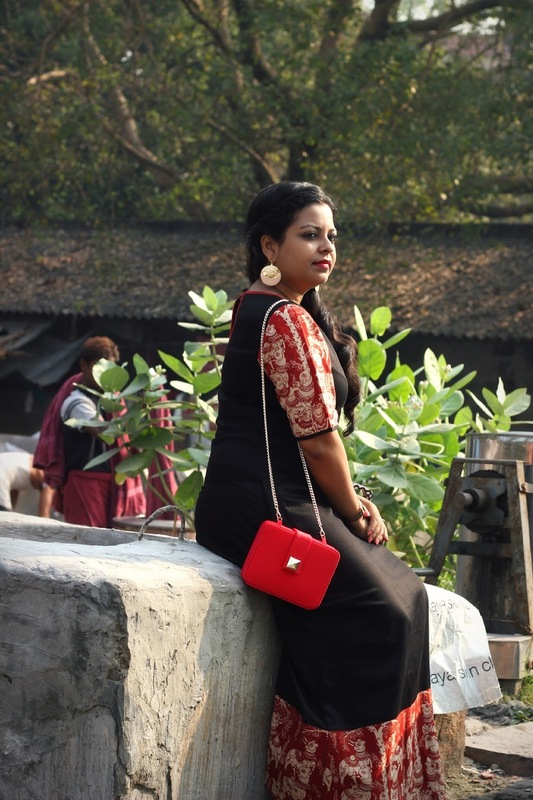 ANK has got a tempting range of more such chic clutches in solid colours, tie-dye textures and even stunning embellishments that can make you stand out in the festive crowd! 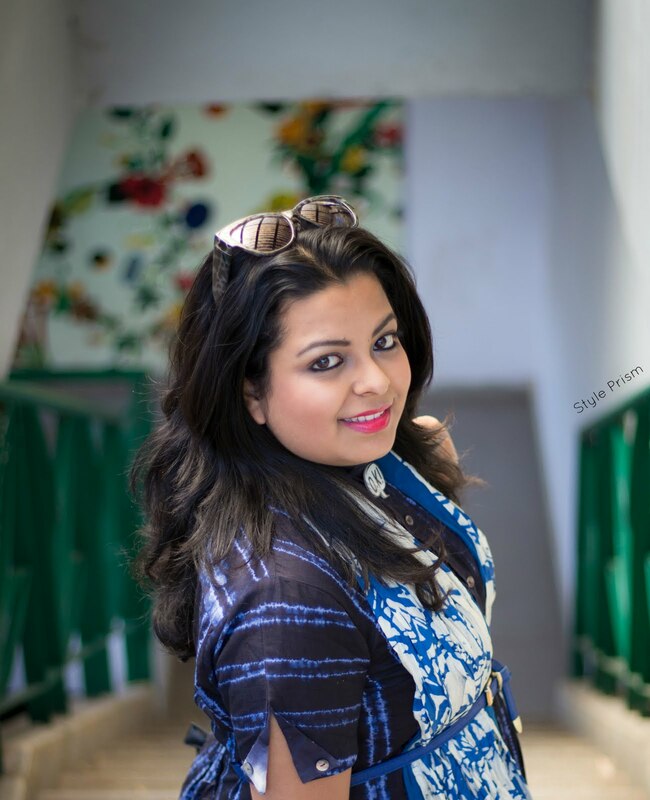 TheBlingStreet.com is the new accessories shopping portal on the block and I must say they have an amazingly well-curated collection of products ranging from jewellery to shoes to bags to scarves from some very talented designers across the country! 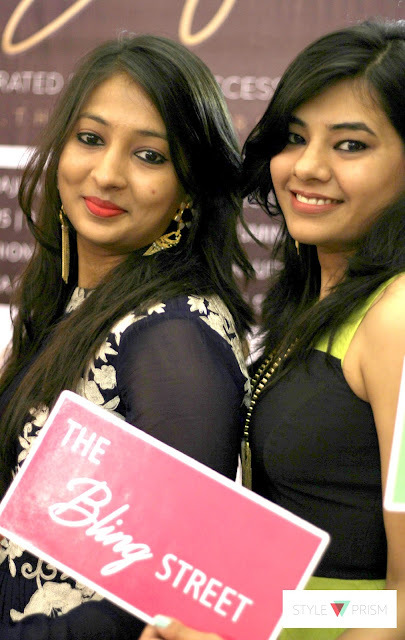 The products are handpicked by Prachi Agarwal & Gunjan Agarwal - the two spunky ladies behind this venture - to make sure that they provide only classy & niche items to their buyers. 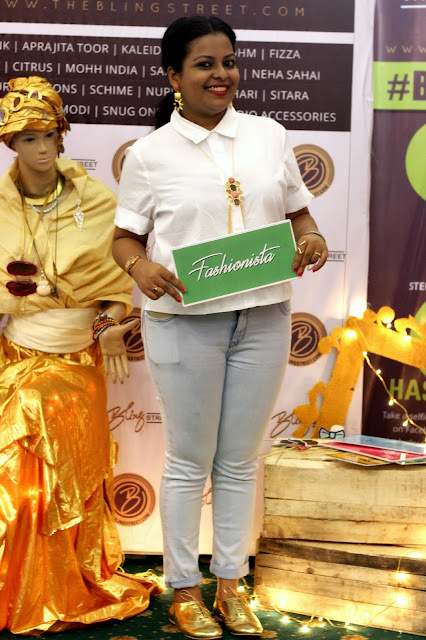 The founders believe in curating a chic yet affordable range that which can fit into every fashionable girl's wardrobe. Apart from being your one-stop accessories destination online, The BlingStreet is also popping-up at exhibition near you! 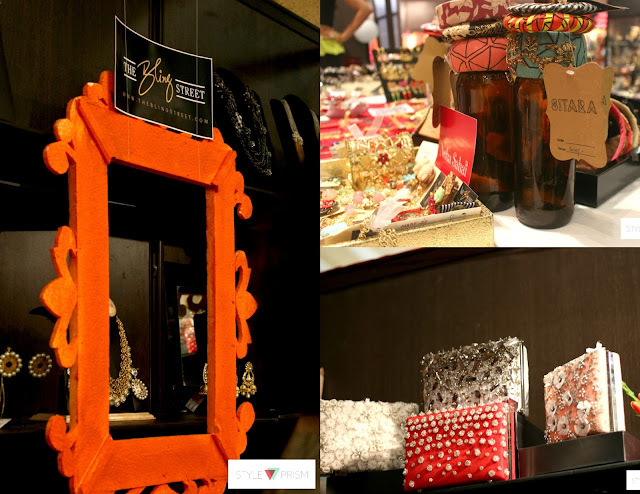 They recently held their first pop-up at Chorbazaar at The Oberoi Grand in Kolkata and what made the event more fun was the bloggers meet held at the pop-up by The BlingStreet in association with Style Prism! Yes, you heard that right! 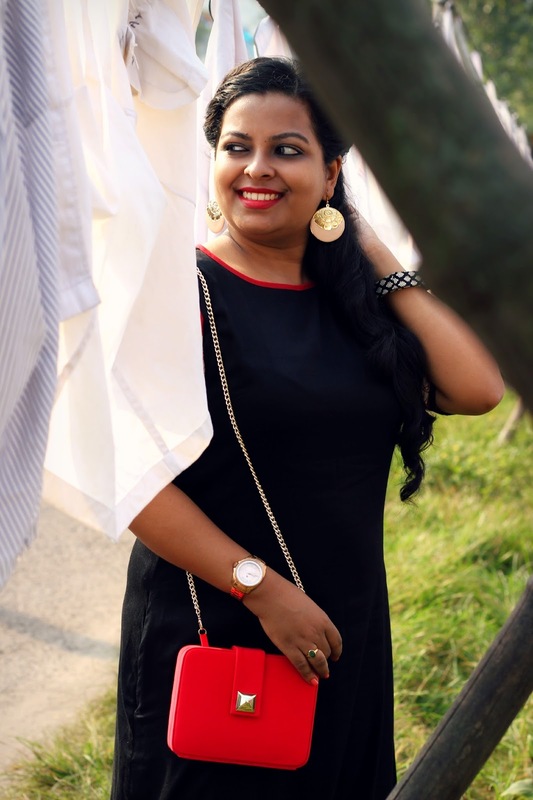 Style Prism helped The BlingStreet organize a bloggers meet at their pop-up with a few of the eminent city bloggers and I can't even begin to tell you what fun it was! 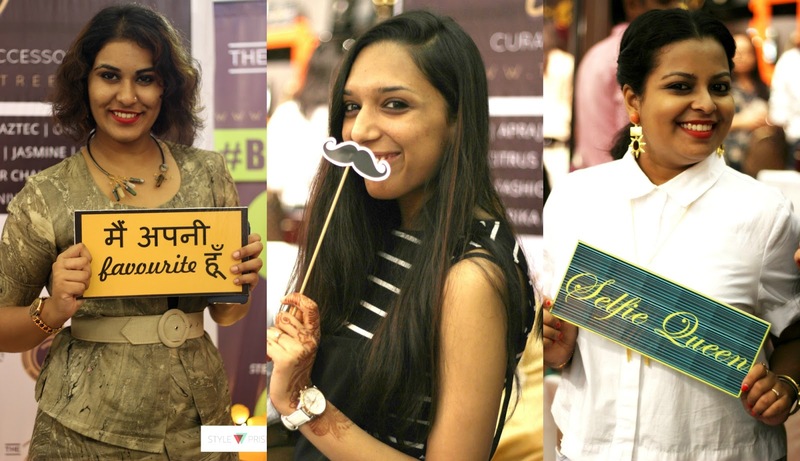 The bloggers browsed through the stunning collection of accessories on display, interacted with the founders of the website, took innumerable selfies (complete with funky props) at the selfie booth and left with a goodie bag full of surprises! Srishti, Nikita & moi with the selfie props! 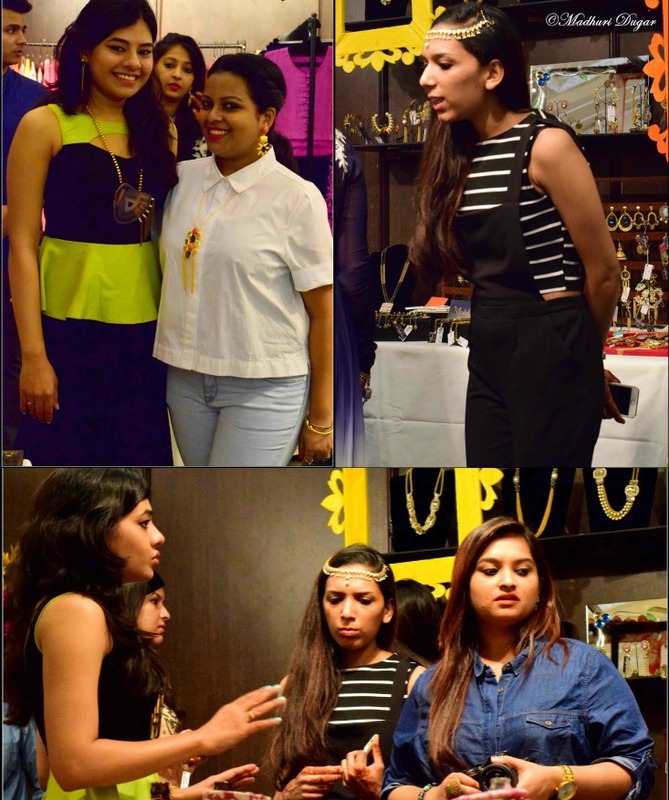 The Blogger Gang with The BlingStreet ladies! 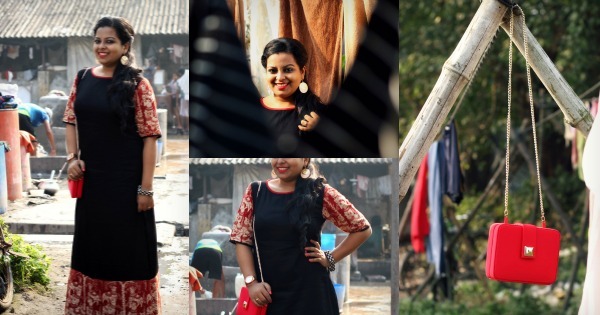 My look for the BlingStreet bloggers meet! 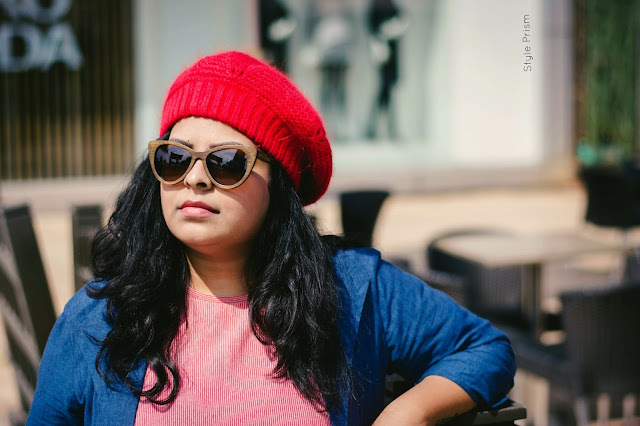 So, head over to TheBlingStreet.com for your accessories fix this festive & party season! 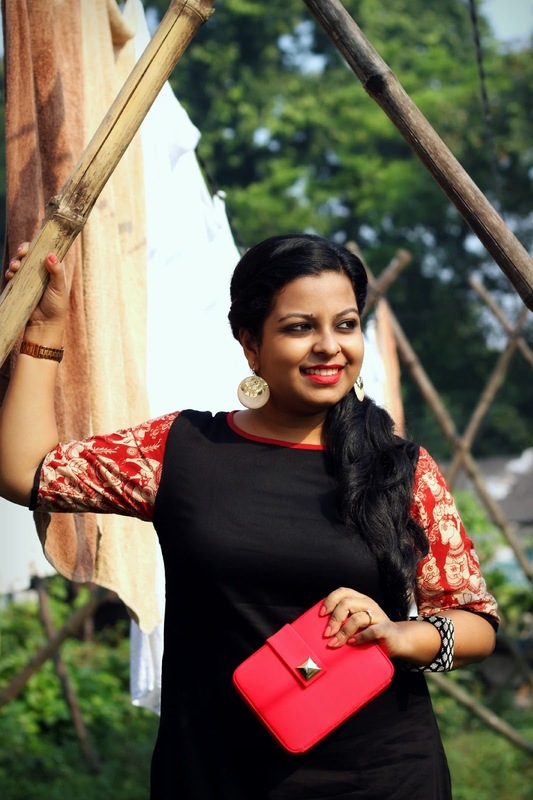 You'll definitely find something that suits your style, personality & pocket too! 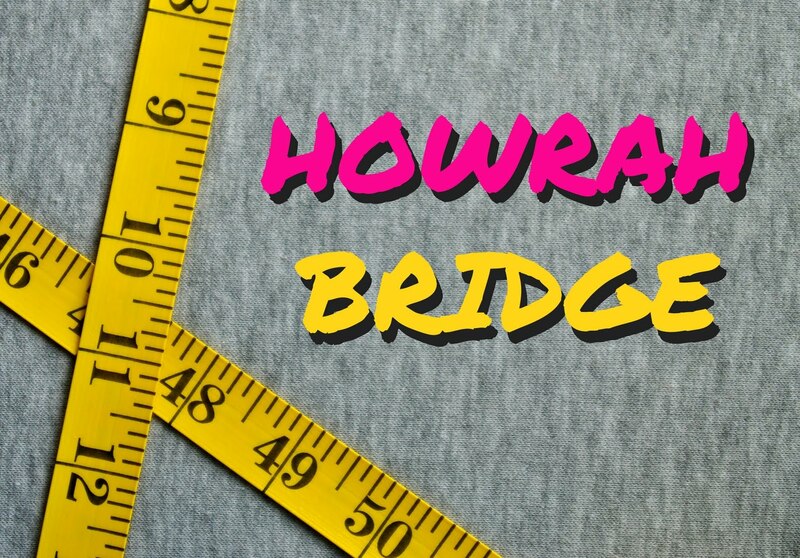 There's something for everyone in their well-curated online shop!! As you can see, my Diwali was way too much fun! 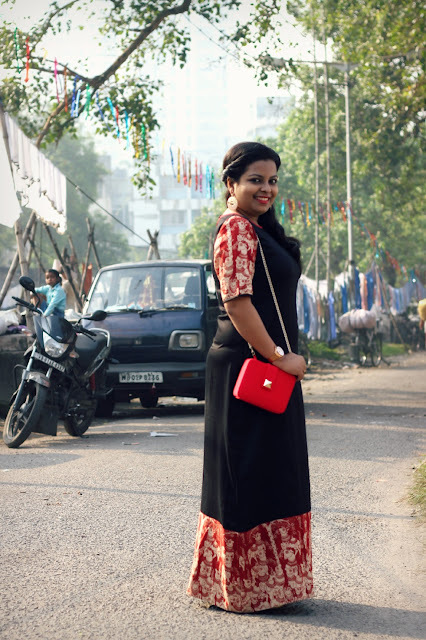 I love the kalamkari detailing on the dress and those shoessss! Where did you get them from? I cant look beyond the kalamkari dress! !